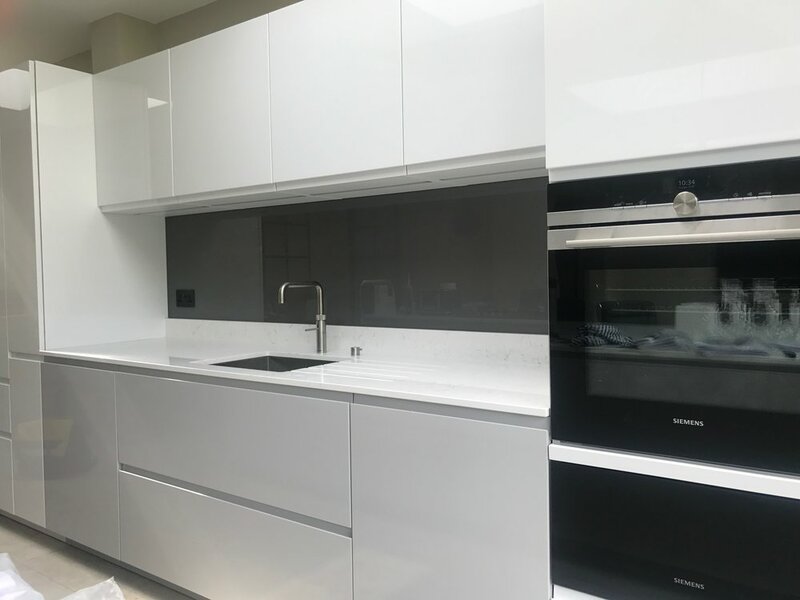 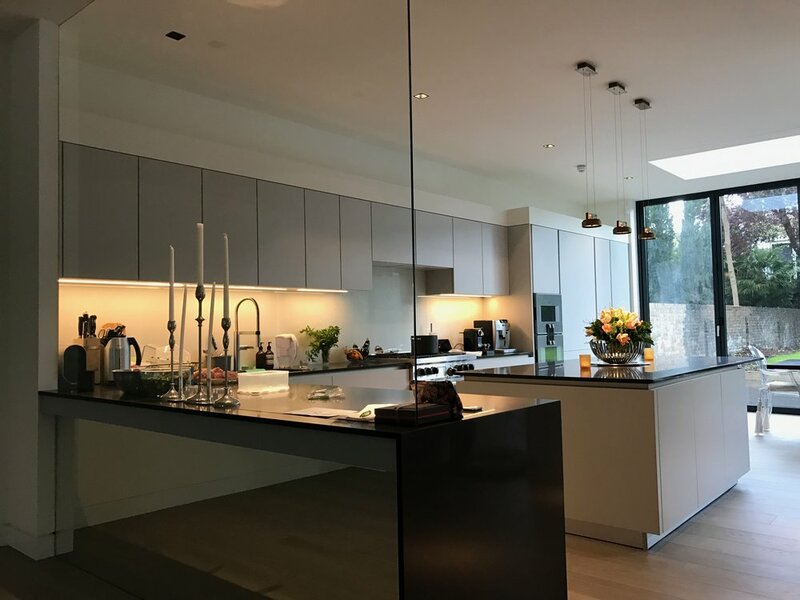 To enhance any traditional or contemporary kitchen interior, glass countertops are hygienic and hard-wearing as well as beautiful surface finishes. 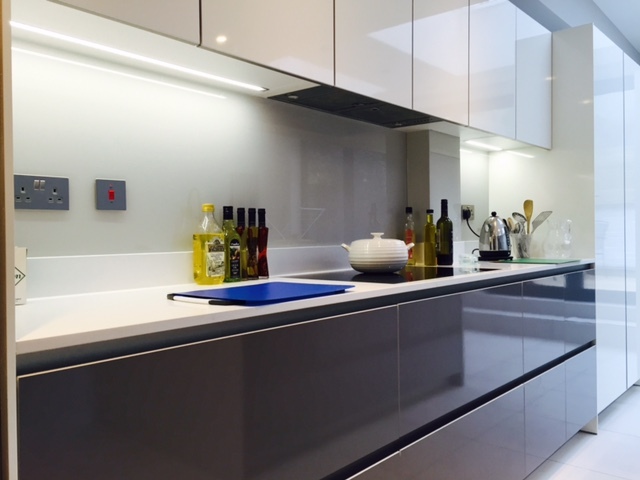 Our glass worktops are template cut to exacting standards and we can produce exciting shapes and colours. 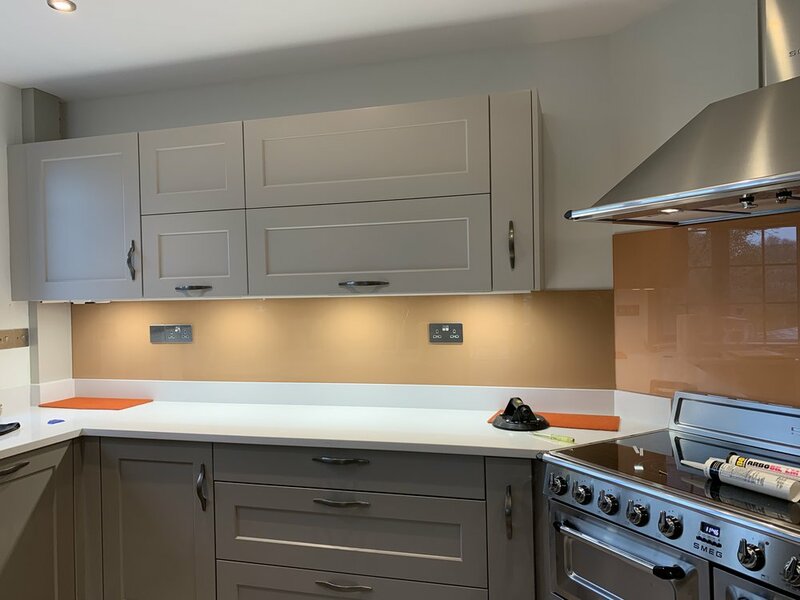 By reverse painting the glass we can achieve any colour of your choice – using paint ranges such as Dulux, Farrow & Ball and Fired Earth, the choice of colours is almost endless. 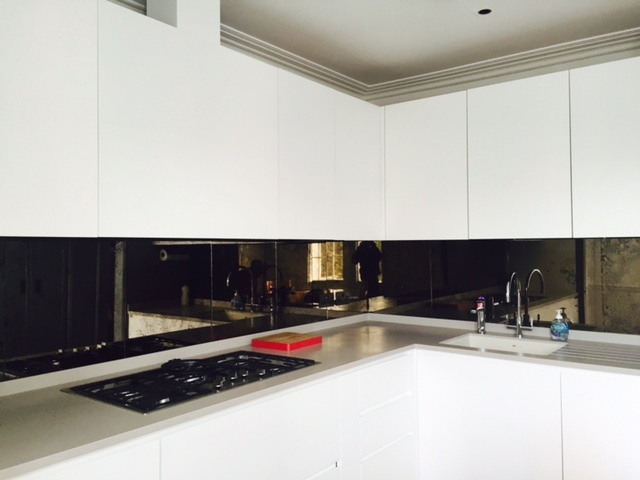 Glass kitchen islands with complementary splashbacks are statement finishes for your designer kitchen interior.